Right cick on the storyboard to move and select Move Storyboard… from the popup menu. 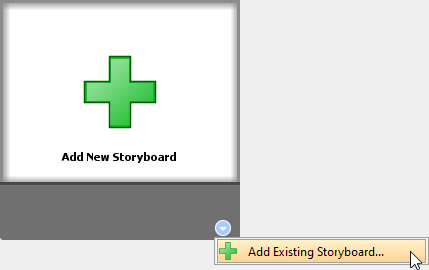 In the Move Storyboard to User Story window, select the user story to move. Open the Storyboard tab of the desired user story. 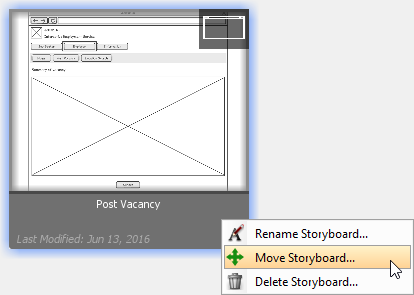 Move your mouse pointer over the Add New Storyboard button. At the bottom right corner of the button, select Add Existing Storyboard… from the popup menu. 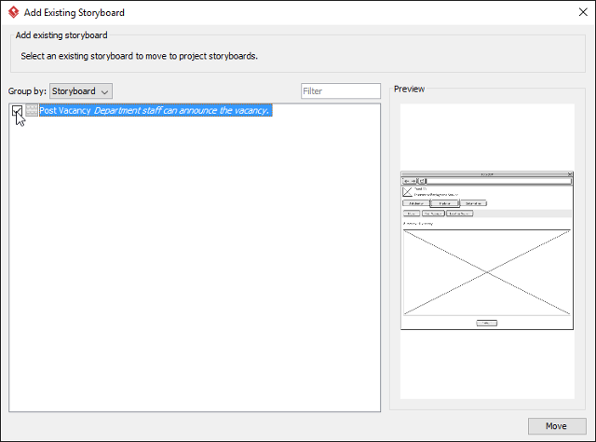 In the Add Existing Storyboard window, select the storyboard you want to move into this user story. 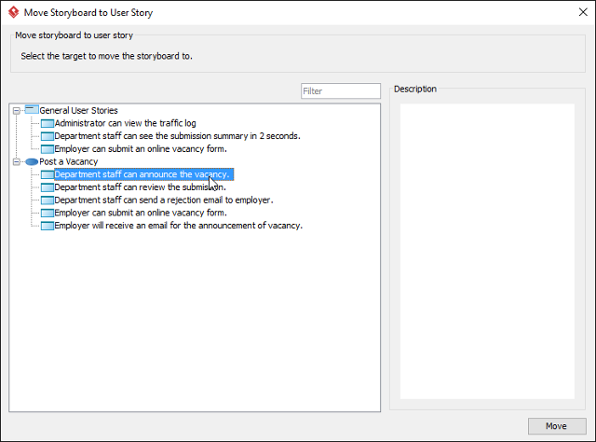 You can view the storyboard based on the user stories that currently belong to by selecting User Story for Group by. If the naming of storyboards are clear enough, you may select Storyboard for Group by.